New book, 64 pages, FOR030. At the outbreak of World War II, Fort Eben Emael in Belgium was the strongest fortress in the world, and it lay exactly across the German invasion route of Belgium and France. The fort’s elimination was essential for the success of Hitler’s invasion of the West. Deemed impregnable to conventional attack, Hitler himself suggested the means for its capture with the first glider-borne assault in military history. On 10 May 1940, ten gliders carrying just 77 paratroopers landed on top of the fort. 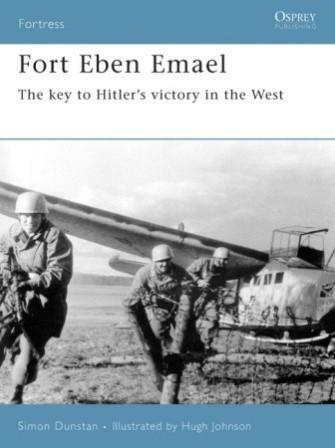 Using top-secret hollow-charge weapons for the first time in warfare, the assault pioneers of Sturmgruppe Granit subdued Fort Eben Emael within just 30 minutes, and the fortress surrendered within 30 hours. It remains one of the greatest raids in the annals of Special Forces.